Circa 2,205 B.C. to 220 A.D.
Mountains, jungles and deserts kept people out of China. The South China Sea and East China Sea limited contact with non-Chinese people. The north lacked natural obstacles from entering China with the exception of the Gobi Desert. Yet the Gobi could be crossed if people had the will, and history tells of many nomadic groups who tried. Because natural obstacles isolated China from non-Chinese, the ancient Chinese grew to view themselves as superior to all others. The Chinese name for China is Zhong Guo (joong GWAH), which means the Central Kingdom. This name reflects the supreme self confidence among the ancient Chinese that their kingdom was the center of the civilized world. Mountain chains surrounding the boundaries of most of southern and western China slowed communication to and from the outside world. Around 6000 B.C. agriculture began to appear around the Yellow River (Huang He – hwahng huh) floodplain. Around 5000 B.C. rice cultivation began to appear. Banpo Village existed between 4500 and 4000 B.C. At first villagers lived off hunting and fishing, but soon after agriculture emerged. Millet became the primary source of food. Banpo people could weave, sew, and make pottery. They also domesticated the dog and pig. Around 3000 B.C. several villages along the Yellow River Valley grew into cities.Agriculture became widespread and populations grew. Bronze metallurgy appeared. These large populations needed centralized control to organize, maintain, and protect city life. City rulers created forces to control people and built fortifications against enemies. Armies were created for defense. 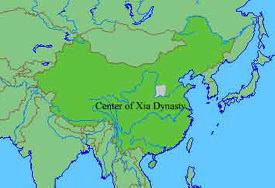 According to legend, the hero Yu (similar to Rama in the Ramayana) established the first Chinese dynasty called the Xia. 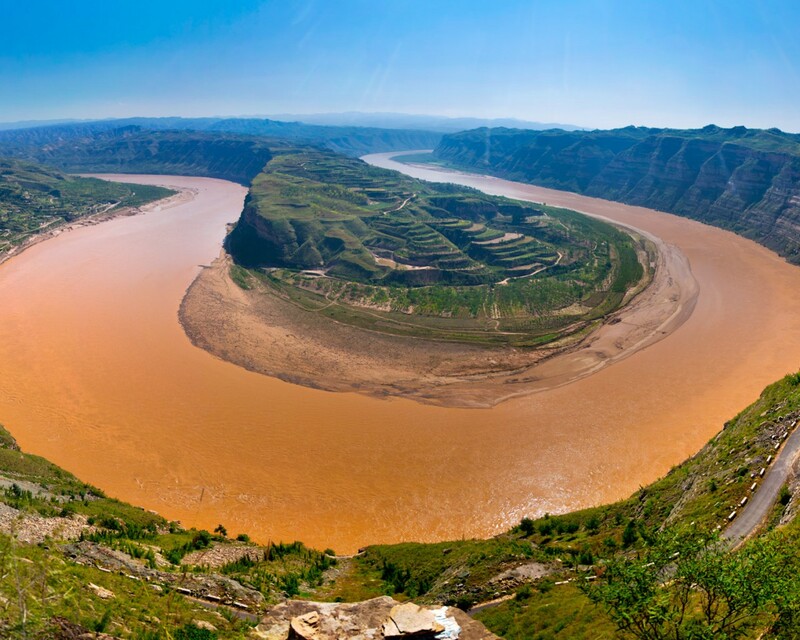 The Xia supposedly ruled the Yellow River Valley from 2205-1766 B.C. There is little archeological evidence for the existence of the Xia. Some historians believe in its existence, and some do not. 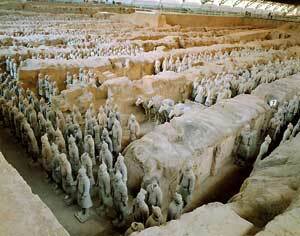 Most historians recognize the Shang Dynasty as China’s first dynasty. According to legend, a rebel Shang leader overthrew the last Xia ruler. Thirty Shang kings would rule, and succession was passed from brother to brother, or father to son. Shang life existed within walled cities. They had several capitals – one near modern Loyang and Cheng-Chou (both near the Yellow River), and at Anyang, although they called it Yin. Anyang was a planned city laid out in a grid pattern. The surrounding area included a religious center, and ancestral burial ground, and a hunting preserve. 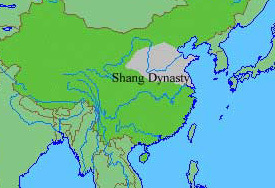 The Shang kingdom included connected territories ruled by subordinate rulers who received their right to rule through the Shang king. Shang society included an aristocracy, officials, merchants, artisans, peasants, and slaves (usually war prisoners – especially non-Chinese). Some social mobility occurred. Women usually submitted to men, although some aristocratic women went above the social limitations. Probably the most famous example of a Shang woman breaking social barriers was Lady Hao. She was one of the many wives of Shang king Wu Ding, who ruled around 1,200 B.C. Lady Hao led military campaigns against the Qiang, Fu Fang, Ba Fang, and Yi. These enemies were on the edge of Shang society and were considered to little more than barbarians. Writing began during the Shang Dynasty through the use of oracle bones (inscriptions found on tortoise shells or flat cattle bones). From oracle bones, modern scholars have pieced together a written language containing 3000 characters – 800 of these have been deciphered. Many of these characters started as pictographs. Only in the late 3rd century B.C. (much later) did writing become standardized. 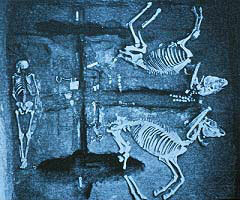 Oracle bones were created when a question was inscribed on the surface of a scraped tortoise shell or cattle bone. These questions were addressed to the Lord on High, or a dead ancestor who would answer questions about the future, the weather, love, war, etc. After a question was etched in, a diviner would apply a red hot poker to the bone. The cracks that resulted would be interpreted as good, bad, or neutral to the question asked. Members of the Shang elite believed in a supreme god, the Lord on High (Shang Di shahng dee). They regularly requested its blessings or guidance. Members of the Shang elite respected their dead ancestors and frequently called upon them for their blessings. The Shang believed their dead ancestors depended on the living for offerings in their tombs and sacrifices made to them after burial. In return, the spirits of the dead were to help protect the living or at least do no harm. The Shang King was the head of the ancestor – spirit worship religion. 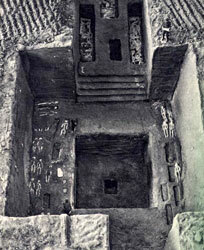 Royal tombs held items of wealth and personal use for the afterlife. In addition, several servants of the deceased king were buried along with the royal corpse. In these tombs archaeologists have discovered chariots (which must have been the latest advanced weapon) with dead horses harnessed to them with their dead charioteers. It is believed these people voluntarily went to their deaths to serve their king in the afterlife. Not all the dead in a royal tomb went voluntarily, though. In tomb 1001, the headless bodies of probable prisoners of war have been found. Their heads were found elsewhere in the tomb. These victims were sacrificed to appease Shang ancestors and the Lord on High. The Shang captured people in warfare for the purpose of sacrificing them to the Shang ancestors. Sometimes Shang warriors went out on missions just to capture victims to sacrifice. A prisoner would be beheaded with a decorated ceremonial axe. The Shang believed these sacrifices would bring them victory in battle. According to historical records the last Shang king terrorized his subjects, and even drank wine from a cup made from the skull of an enemy. 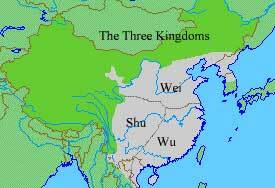 Seeing an opportunity, King Wen of the Zhou (JZHOH) state formed alliances with neighboring states. 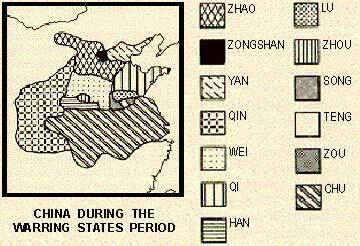 At the time, the state of Zhou was at the frontier of the Shang controlled territories. Wen’s son, the future King Wu, attacked the Shang army and defeated it. He proceeded to surround the Shang capital. Rather than surrender to the Zhou, the last Shang king chose to burn to death as his palace went up in flames around him. This brought an end to the Shang dynasty. The Zhou justified their conquest over the Shang by developing a concept called the Mandate of Heaven. “Heaven” (Tian) replaced the Lord on High as the supreme deity. The Mandate of Heaven stated that “Heaven” only allows rulers who are just and moral to rule. If the ruler becomes corrupt, “Heaven” will find it acceptable for rebellion to occur. 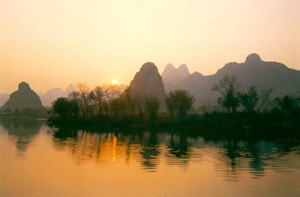 The Zhou controlled a large section of the northwestern Yangzi River area. Zhou kings were unable to administer their land effectively. To solve this problem, Zhou kings gave large areas of land to subordinate rulers to rule in the Zhou name. These subordinates essentially became lesser kings over this given land. To ensure loyalty, Zhou kings made these subordinate rulers swear fealty – or loyalty. These subordinate rulers became vassals, or royal servants to the Zhou kings. In exchange for control of their land, these vassals swore to help the Zhou king with military assistance whenever needed. The vassals had to make their land self-sufficient. They did not receive any food or supplies from the Zhou. Everything needed to survive had to come from their land. The farmer-peasants were the people responsible for growing food. Vassal-lords had to make an agreement with the peasants. In exchange for the right to live on their land, and receive protection from criminals, peasants had to provide their vassal-lords with a large portion of the food they grew. This self-sufficient agreement between vassal-lords and peasants is called Manorialism. Eventually, peasants became tied to the land and could not leave. Peasants who are not quite slaves, yet not allowed to leave the land, are called serfs. It is produced by women. 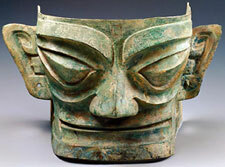 Since the fabled Xia dynasty, Chinese artisans worked with bronze. By the late Zhou dynasty, artisans in China were working with iron. Moulds were produced to create iron weapons and farming tools. This process is called casting. The Chinese were well ahead of Europe in casting iron. The Demise of the Zhou? Feudalism only works if the head honcho (Zhou king) has the power to control his supposedly “loyal” vassals. In reality, vassals were only as loyal as the Zhou king was strong. The weaker the ruler, the weaker the loyalty. In 771 B.C. the Zhou king was killed by an alliance of Rong tribesmen and Zhou vassals. The king’s son was put on the throne, and the capital was moved. The power of the Zhou was irreparably damaged. 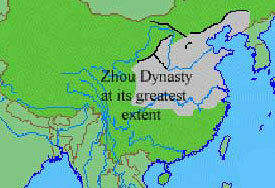 After 771 B.C., the Zhou did not have the power to control their kingdom. Their kingdom split into several kingdoms ruled by former vassals who only pretended to recognize the Zhou Dynasty as the official head. The Zhou king was, for a time, still recognized as the intermediary between Tian and earth, and therefore must at least be nominally respected. This respect would not last. In the late 5th century B.C. the powerful Jin state broke away, and no longer pretended to serve the Zhou. This began the period of Chinese history called the Warring States Period. The Zhou struggled to gain back their former kingdom, but by 221 B.C. the Zhou were gone. Feudalism had failed, and disappeared along with the Zhou. The Warring States Period 403-221 B.C. During this era most of what would become modern China was in conflict. By 250 B.C. there were seven main states (kingdoms) struggling to become number one. 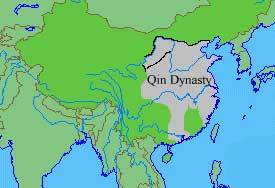 These kingdoms were the: Zhao (not Zhou), Qin, Yen, Qi, Wei, Han, and Qu. Bronze and iron farming tools along with the use of fertilizer enabled farmers to grow more food than before. Huge water projects to bring water to farmland were undertaken. The state of Qin (CHIN) built a huge canal to provide water for irrigation. Populations swelled, and social status changed for many people with the end of feudalism and Manorialism. Education began challenging social status. Intelligent and talented officials became more important to rulers than officials with merely a noble birth. The best qualified for administrations, regardless of birth, were sought after. A new, low-ranking elite of educated men emerged called the Shi. The Shi often replaced noble officials of government. An intellectual culture sprang up among the Shi, and from this culture, Chinese philosophies developed. The kingdom to make the most changes in government and society was the state of Qin. The Qin tried to remake its society. Serfdom was done away with. Peasants were no longer controlled by the aristocracy, because the Qin king did away with the aristocracy. Land could be bought and sold by anyone regardless of rank. The state created a tax code that applied to everyone without discrimination. With these seemingly progressive reforms came a price. Although peasants weren’t controlled by the nobility anymore, the Qin state ruled every aspect of their lives. In addition to paying taxes in the form of grain, peasants had to work on public projects whenever the state demanded. In addition, every member of a family became responsible for each other. If one family member committed a crime, ALL the family members would be punished, and punishments could be severe. Confucianism is the philosophy founded by Confucius 551-479 B.C. 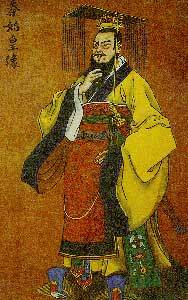 Confucius lived during the beginning stages of the Warring States Period. His dream was to transform the corruptions of his state (Lu) by teaching his philosophy. Confucius was extremely well educated and loved learning. He was an expert in antiquity (that is, his ancient China). From his learning he became convinced that in order to fix his society’s problems, society had to look to the past for answers. Confucius believed the early Zhou knew the ways to live, behave, and govern correctly. To fix what was wrong with society, Confucius believed society had to emulate what was done right in the past. This was achieved through being educated in proper conduct, called Li, and through proper social relationships. Confucius believed that through education and through modeling oneself on the actions of virtuous superiors, anyone could improve and become a better person. So in a nutshell, Confucianism is a philosophy of morality and ethics. Confucius identified many, many different customs he thought proper for people to follow. By following these customs in the correct way, a person showed correct manners. Confucius attempted to describe the proper way to act in almost any situation – the right way to walk, talk, greet, eat, dress – you name it. This, of course, included the proper behaviors needed to run a government, and needed to have appropriate social relationships. Confucius believed that if rulers, officials, and the people followed these past customs and behaviors, society would no longer be in such a mess, and peace and harmony would prevail. Confucius believed that people HAD to be loyal. Subjects had to obey their rulers, subordinates their superiors, and especially children had to be loyal and obey their parents (filial piety). Over time, Confucians elaborated the concept of loyalty and obedience into a system of FIVE relationships:Confucius was rather indifferent toward women. He oddly had nothing to mention about marriage, spoke poorly about women, and frequently remarked about how hard it was to handle women. The person on the left dominated the person on the right. Confucius’ greatest student/disciple was Mencius. 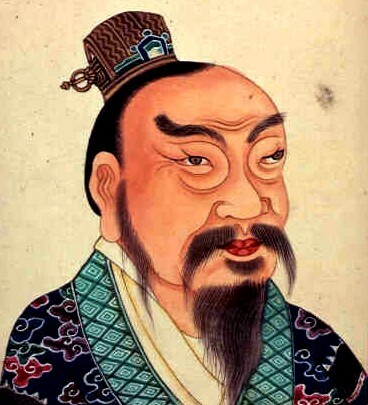 Mencius traveled from state to state during the Warring States Period, telling rulers to their faces that if they did not rule well, they would lose the Mandate of Heaven. He was a great defender of the commoner, and believed that people, in general, were good. Here’s an excerpt of Mencius admonishing a king of one of the warring states:Dogs and pigs in your realm feed on the food of your subjects, but you do not restrain them. People are starving on your roads, but you do not open your granaries. When people die as a result, you say, “It is not my fault; it is a bad year.” How is this different from stabbing a man and saying, “It is not my fault; it is the sword.” If your majesty would stop putting blame on the year, people from throughout the empire would come to you. Legalism was a branch of philosophy identified with Legalists – philosophers and officials who believed to obtain order, government must be powerful militarily and economically. 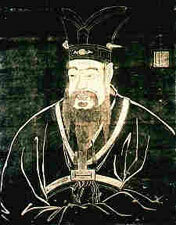 The most notable Legalist theorists were Shang Yang (390-338 B.C.) and Han Feizi (280-233 B.C.). Both men worked for the state of Qin and encouraged people to be farmers or soldiers. They discouraged careers such as merchants, entrepreneurs, scholars, educators, philosophers, poets, and artists since those lines of work did not make the state stronger. 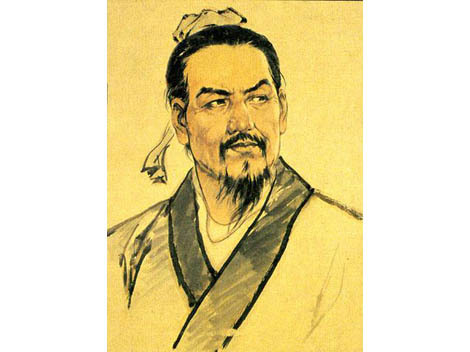 They stressed the need for severe laws and harsh punishments.Han Feizi strongly advocated the dispensing of useless traditions. He wanted an effective, stream-lined government that would be so efficient, its enemies could not compete. They would be stuck in the mire of their own rituals and traditions while the Qin forged ahead. Here’s an example of his thinking:There was a plowman in whose field was a tree stump. When a rabbit ran into the stump and broke its neck, he left his plow and watched over the stump, hoping to pick up more rabbits. But he got no more and became the laughing stock of the whole kingdom. Wanting to apply the policies of former kings to govern people in these times belongs in the same class as watching over that stump.Both men had many enemies. Shang Yang’s enemies had him executed, his body mutilated, and his family destroyed. Han Feizi’s greatest enemy was Li Ssu, Shi huangdi’s chief advisor. Apparently, Li Ssu felt threatened by Han Feizi’s growing influence over the Qin royal court, and he had Han Feizi poisoned. Survival, according to Legalists, demanded harsh laws, enforced by harsh punishments. Legalists believed people behaved badly and needed to be kept under strict control. Legalists tended to dislike scholars, believing they had nothing better to do than complain about government. Taoist philosophy was much different than Confucianism and Legalism. Unlike Confucianism and Legalism, Taoism did not come into being out of a need to bring order to the chaos of the Warring States Period, although it was popular then. The founder of Taoism was the legendary Lao Tzu (or Lao Zi). Some legends have him living the same time as Confucius, but if Lao Tzu ever did exist, he probably lived before Confucius. At the center of Taoist philosophy is the Tao, or the Way. It represents everything in the universe, and it is the origin of all things ? the one reality. 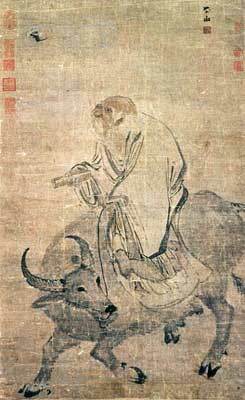 By tradition, Taoist philosophy was first written down in Lao Tzu’s book, The Tao Te Ching. The story goes that Lao Tzu became tired of the human world and traveled west. As he left China, a gatekeeper begged Lao Tzu to leave behind something of value. In response, he wrote the Tao Te Ching, and wandered off, riding a water buffalo, never to be seen again. It was the goal of the Taoist to be in harmony with the Tao. Taoism is nature friendly, and the Taoist seeks harmony with nature. People were perceived as unimportant in the grand design of the universe. People were merely part of the Tao and no more important that the trees and the bees. To try to struggle for high office, or grand social position was silly to the Taoist. People should be humble and non-aggressive. Taoists believed the world was made of contending forces (cold, hot, light, dark) – opposites that are in harmony with each other. The opposites balance one another perfectly. It is only when they get out of balance that harm can occur. The YIN/YANG symbol represents these opposing forces in nature that balance each other in harmonious perfection. To make sense of the yin/yang, think about a battery. A battery has a negative end and a positive end. Both the positive and negative are necessary for a working battery. Remove one of the charges, and the balance is lost. Your battery will not work. It is important to understand the opposing forces aren’t in a power struggle. They merely exist to complement each other. So, one force isn’t bad, and the other good. Taoists took this one step further by pointing out how occurrences in one’s life tend to balance each other out, and what one considers good or bad is relative. Here’s an example:There was an old farmer who had worked his crops for many years. One day his horse ran away. Upon hearing the news, his neighbors came to visit. “Maybe,” said the farmer.Moral: misfortune and fortune tend to cancel/balance each other in a person’s life, and you never can tell what really is bad or good. It’s all relative. 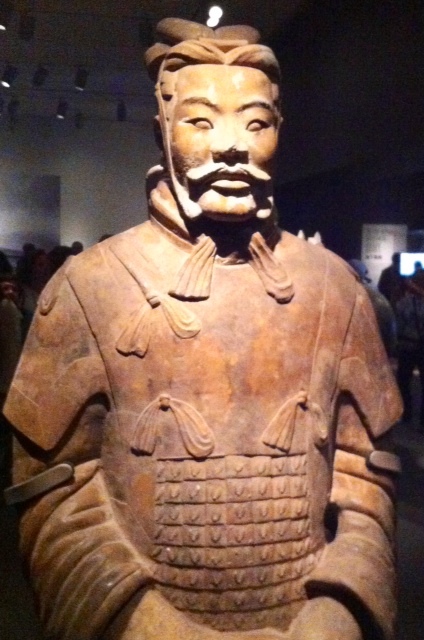 The Qin Dynasty 221-207 B.C. The Warring States Period ended when the state of Qin conquered the other states. King Zheng 259-210 B.C., was the Qin king. After conquering the other states in the wars of unification, Zheng asked his advisors to give him a name suitable for his amazing achievements. In response, his advisors named him Shi huangdi (emperor). Shi huangdi became China’s first emperor. Shi huangdi divided his empire into commandaries – large administrative districts. Three officials ran the commandaries: a military commander, a civil official, and a royal inspector who reported to Shi huangdi. Officials standardized weights and measures, money, written characters, and laws. 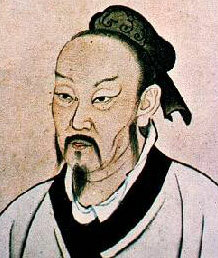 Shi huangdi favored Legalist philosophy. Therefore, he extended his laws everywhere in the empire, and abolished local laws and customs. Hundreds of thousands of prominent or wealthy families were forced to leave their homes and move to the capital, Xianyang. This way they could be watched closely and prevented from rebelling. Shi Huangdi heavily taxed his people and conscripted people to work on his public works projects. The most famous public work was the Great Wall. However, the Great Wall we see today was built in the 15th century A.D. Although Shi Huangdi treated peasants well at first by giving landless people land to farm, and an initial tax rebate at the start of his reign, he was eventually hated by much of the population. Over taxing later in his reign and conscripting people to work (and often die) on his public works caused commoners to dislike him. In addition, Shi huangdi encouraged people to spy on each other. Reporting lawbreakers was rewarded. The punishments for lawbreakers were execution, mutilation, or being sentenced to hard labor. Being a Legalist at heart, Shi huangdi tended to dislike scholars, and persecuted those who disagreed with his policies. Criticism of his government was not tolerated. Legend has it that Shi Huangdi had books burned and 460 scholars were buried alive in a common grave. The only books allowed were practical manuals and official Qin chronicles. D. If You Got it, Flaunt it! After ruling for 37 years Shi huangdi suddenly died of illness. He was in constant terror of being assassinated, and took great pains to thwart any attempt. He did like to tour his empire, though, and it was on one of his tours that he “succumbed” to illness. Before his death, Shi huangdi began having his royal tomb built. He knew how to go out in style. 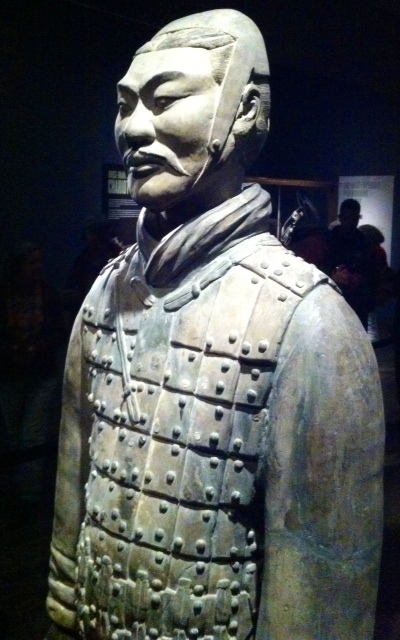 Archaeologists have discovered his famous terra-cotta soldier tomb. ?More that seven-thousand terra-cotta soldiers modeled on the elite-guard were buried along with Shi huangdi to offer him protection in the afterlife. Shi huangdi’s legitimate heir was murdered by his younger brother soon after Shi huangdi’s death. This younger brother did not rule for long. In 209 B.C. a group of conscripted peasants delayed by rain decided to become outlaws rather than face execution for arriving late for their frontier service. They were surprised to have thousands of disgruntled peasants join them. Uprisings sprang up in spots inside the empire. Liu Bang (LYOH BONG), also known as Gaozu, was the eventual winner of these uprisings. Liu Bang came from a modest background. He had served the Qin empire as a minor official in charge of a postal relay station. In 206 B.C. he took the title King of the Han. By then the Qin were no longer in power. In 202 B.C. Liu Bang defeated his rivals, and the Han dynasty had begun. The Han Empire 202 B.C.- 220 A.D.
Liu Bang became the 1st Han emperor. He softened Qin laws, lowered taxes, and lightened people’s burdens. Liu Bang was a rather uninspiring man, but he was stubborn and methodical. He had the complete loyalty of his troops, and was able to keep China unified. He kept Legalism as the prevalent philosophy. He had little respect for intellectual learning. In fact, he once emptied his bladder in a traditional Confucian scholar’s hat to show his contempt for scholarly pursuits! During the Han empire, Taoism split into two camps: a philosophical camp and a religious camp. For the religious camp, Lao Tzu became a god. The Martial Emperor, Han Wudi, established the first educational system in China. Han Wudi chose Confucianism as the philosophy for the educated elite. Those who wanted a government post studied Confucianism. Thus Confucianism survived and became the prevalent philosophy of China. Wudi was an endless military campaigner. He sent out emissaries to find places where horses could be purchased for his calvary. It was during a horse-finding mission that one of Wudi’s emissaries learned about Rome and informed Wudi that Rome had been importing silk for quite awhile. Wudi was the first Chinese emperor to become aware of the Roman Empire. Wudi’s military campaigns ruined his empire’s economy and exhausted his people. His censors convinced Wudi to stop campaigning, and issue an edict apologizing for his actions. Wudi did so, and he promised to be a better ruler. Wudi ruled for over 50 years. The Han Empire was important for creating a Chinese culture that would be copied, with only slight refinements, by all the Chinese empires to come. The Han military conquered Korea and Vietnam. Han culture greatly influenced both of these civilizations. Since the late third century B.C., China’s borders were harassed by a nomadic people called the Xiongnu. The Xiongnu came from the inner Asian steppe, near what in now Mongolia. They were probably related to the Asian Huns and later the Mongolians. The Xiongnu’s source of wealth and power was in their horses. They lived in dry grasslands where crops would not grow. It became apparent to them early on, that to amass any wealth, they would have to take it by force. Chinese farmers were their most frequent victims. Farmers looked at the Xiongnu as pitiless gangs of bullies who took to robbing for their living. The Xiongnu gloried in their military might and looked at farmers as pathetic weaklings incapable of defending themselves. The Xiongnu truly believed that might makes right. In 213 B.C. Emperor Shi huangdi sent 100,000 troops to defeat the Xiongnu and had the Great Wall built to keep them out. Neither army nor wall succeeded. The Han tried to buy the Xiongnu off. This didn’t work either. In 133 B.C. Emperor Wudi sent 300,000 troops to defeat them. This still wasn’t enough. Finally, in 42 B.C. the Xiongnu were defeated by the Han. In an amazing twist of history, the Xiongnu had some Roman mercenaries fighting for them in that battle. Historians believe this, because of Chinese descriptions of soldiers fighting with overlapping shields – the Han described it as looking like fish scales. This formation was called the testudo (turtle or tortoise) by the Romans. How did Romans get so far away from home? Ask during the Rome lecture. During the Han dynasty, ambitious men wanting to be appointed to an official position sometimes went to ridiculous lengths in following Confucius’ teachings on filial piety. For example, some men whose parents passed away would refuse to end their mourning for years. Even before the time of Confucius, very few scholars took the time to write about women. One exception during the Han time was a writer named Liu Xiang (79 – 8 B.C.). He wrote a book called the Biographies of Heroic Women. The book contained accounts of 125 different women. Liu Xiang praised these women for their loyalty to their ruler, their wise advice to their husband or father, and their chastity. Admonitions for Girls was also a very influential book about and for women. It was written by the lady Ban Zhao, a widower who took a job in the Han palace as instructor to the girls there. Here’s her advice for women:Humility means yielding and acting respectful, putting others first and oneself last, never mentioning one’s own good deeds or denying one’s own faults, enduring insults and bearing mistreatment, all with due trepidation. Industriousness means going to bed late, getting up early, never shirking work morning or night, never refusing to take on domestic work, and completing everything that needs to be done neatly and carefully. Continuing the sacrifices means serving one’s husband-master with appropriate demeanor, keeping oneself clean and pure, never joking or laughing, and preparing pure wine and food to offer the ancestors. There has never been a woman who had these three traits and yet ruined her reputation or fell into disgrace. On the other hand, if a woman lacks these three traits, she will have no name to preserve and will not be able to avoid shame.What do you think about that, girls? Han power began to dimish starting in the second century AD. Court politics turned nasty. Palace eunuchs fought each other to influence the empress and gain power. Weak emperors leaned heavily on palace eunuchs to help run the empire. The Han became increasingly inefficient at collecting taxes. The empire grew poorer. In 153 A.D. swarms of locusts and a terrible flooding of the Yellow River caused several hundreds of thousands of people to be homeless. They took to the roads in search of food. The government could only afford to give away 30% of its stored grain. On the heels of these disasters came a religious/rebellious cult called the Yellow Turbans or the Way of Great Peace. Followers of this cult were easily recognizable by the yellow scarves they wore on their heads. The Yellow Turbans offered the poor mystical faith healing and social welfare. In 184 A.D. hundreds of thousands of their followers attacked several parts of the empire. The Han sent its army against them and within a year the rebellion was contained. The military commanders who had eventually defeated the Way of Great Peace became warlords. They ignored Han authority, and for decades fought each other for control over the empire. By 189 A.D., the Han empire was essentially broken. The Han struggled to regain control, but failed. In 220 A.D. the last Han emperor gave up his throne. China would not be reunited under one ruling family again until around 589 A.D. under the Tang dynasty.